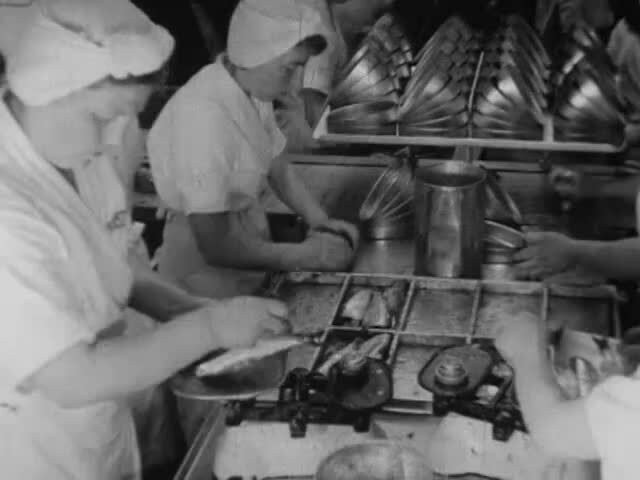 Description: A training film for Crosse & Blackwell employees, showing the importance of correctly packing herring tins. Interiors of the Crosse & Blackwell factory as well as shots of a trawler unloading and the fish market at Peterhead harbour. Credits: produced with the assistance of the Industrial Panel of the Scottish Film Council.